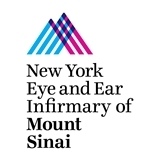 NYEE of Mount Sinai Department of Otolaryngology (New York) - Book Appointment Online! The multidisciplinary staff at the New York Eye and Ear Infirmary specializes in the treatment of both benign and cancerous diseases of the head and neck, ear/nose/throat, and thyroid. Likewise our specialized staff provides pre-operative and post-operative care. Wonderful experience overall, as well as a nice facility. Easy to find, would recommend this to all friends and family in the future. He conveyed a positive, optimistic manner in discussing treatment options. He detailed them very clearly. Dr. Hirsch was very professional from beginning to end. He answered all of my questions and made me feel comfortable. I had to wait a bit, but that was only because I had to fill out some paper work, after that it was smooth sailing. I will be going back for a follow-up in a few days. He listened to my concern, and made me feel at ease. He is doing the necessary follow up just to make sure all bases are covered. He was young and very professional, and definitely knew what he was doing. I would highly recommend him.